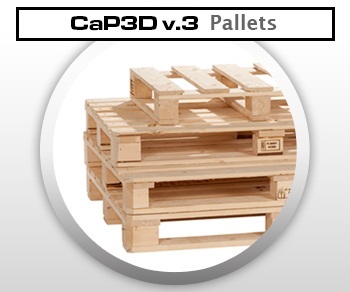 This CAP3D End-User License Agreement (“EULA”) is a legal AGREEMENT between you (either as a individual or as the representative and on behalf of a single entity) and Gruppo 36 for the CAP3D software product, which product includes computer software and may include associated media, printed materials, and “online” or electronic documentation (“SOFTWARE PRODUCT”). By installing, copying, or otherwise using the SOFTWARE PRODUCT, you agree to be bound by the terms of this EULA. If you do not agree to the terms of this EULA, then DO NOT install or use the SOFTWARE PRODUCT; in such event the original purchaser may, however, return it to the place of purchase within 7 days from good delivery for refund. The SOFTWARE PRODUCT is leased, not sold. Any given license for the SOFTWARE PRODUCT may not be shared or used concurrently or otherwise on different computers or by different developers in a given organization. Modify, reverse engineer, decompile, or disassemble the SOFTWARE PRODUCT. Gruppo 36 may provide you with Support Services related to the SOFTWARE PRODUCT. Any supplemental software product provided to you as part of the Support Services shall be considered part of the SOFTWARE PRODUCT and subject to the terms and conditions of this EULA. With respect to technical information you provide to Gruppo 36 as part of the Support Services, Gruppo 36 may use such information for its business purposes, including for product updates and development. New versions of the software or upgrades by Gruppo 36 are bound by the terms of this agreement. You may receive the SOFTWARE PRODUCT or the upgrades in more than one medium. Regardless of the type or size of the medium you receive, you may use only that one medium that is appropriate for your single computer. Without prejudice to any of Gruppo 36's other rights, Gruppo 36 may terminate this EULA if you fail to comply with the terms and conditions of this EULA. In such event, you must destroy any and all copies of the SOFTWARE PRODUCT and all of its component parts. Gruppo 36 guarantees that USB key on which the software is installed has no flaws. Correct functioning of each USB key is tested before shipment. Gruppo 36 returns policy is to accept most returns within 7 days from good delivery. No returns or refunds will be accepted after that period. The refound will be made net of shipping costs and administrative costs (equal to 80 euro) and upon return of original USB key. In case of malfunctioning, damage or loss of the provided USB device, Gruppo36 will send a new USB key after receiving back the damaged one. (in case of malfunction/damage) and upon payment of 180 euro (bank and transaction fee excluded). Shipping costs for the return of USB support (for malfuctioning, damage of refound) are charged to Customer. To the maximum extent permitted by applicable law, in no event shall Gruppo 36 or its suppliers be liable for any special, incidental, indirect, or consequential damages whatsoever (including, without limitation, damages for loss of business profits, business interruption, loss of business information, or any other pecuniary loss) arising out of the use of or inability to use the software product or the provision of or failure to provide support services, even if Gruppo 36 has been advised of the possibility of such damages. In any case, Gruppo 36's entire liability under any provision of this eula shall be limited to the amount you actually paid to Gruppo 36 for the software product or service that directly caused the damage. The risk of loss or damages will in all cases pass to the customer as soon as the shipping goods leave the warehouse. In any event of a loss or theft of the USB Key provided, Gruppo 36 is NOT entitled to supply a new USB Key in substitution. These cases will be processed as indicate above. The annual fee is mandatory. Standard software updates, e-mail technical assistance included. Gruppo36 reserves the right to change its support and pricing policies at any time or in case of extraordinary upgrades. Gruppo 36 provides a service of technical support via email for issues related to the proper functioning of CaP3D from Monday to Friday during business hours, excluding holidays. The assistance service takes care of the request within 8 working hours. Intervention and resolution times can vary depending on problem that has occurred and time necessary for its identification. Response times are guaranteed from the moment in which all the relevant information to the problem identification has been provided.